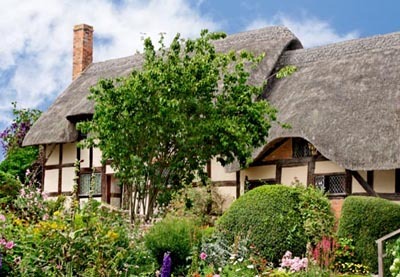 Better joy in a cottage than sorrow in a palace’ is an adage that’s been taken to heart by a number of buyers who’ve set their sights on smaller country properties over the past few years. Despite a general slowdown in the country market, with prices dropping by 1.7% since September 2010, the cottage, which fell by only 0.7%, is holding its own, reports Knight Frank in its latest prime country-house index. The cottage is punching above its weight, agents believe, because of the widening divide between the London and country markets. A London family would once have chosen to move into a substantial country house after selling their property in town, but this is no longer the case. ‘With the London market outperforming other areas, some are now reluctant to sell, but still keen to take that first step with a smaller property for weekends and school holidays,’ explains buying agent Charles Birtles from Charles Birtles Property Search. The advantages of becoming a part- or full-time cottage dweller are many. Filmmaker Jane Treays, who’s selling her 17th-century cottage in the Cotswold village of Chalford through Murrays (01453 755552; www.murraysestateagents.co.uk), says that they’re cosy, warm and easy to maintain. ‘I like the energy you expend on a cottage: chopping logs, digging the garden and baking bread. The main attraction of a cottage these days is its size. It offers a base from which a city-based family can enjoy the countryside, as opposed to a larger, more high-maintenance house that’s the focus of large-scale entertainment (and a never-ending circuit of friends coming to stay). Another large advantage of the second-home cottage is that it provides a perfect downsizing location further down the line. ‘Meanwhile, you can rent it out if desired, and finding tenants for a cottage is easier, and offers better returns, than a house, as many weekenders are eager to pay accordingly to get their hands on one,’ Mr Greenwood adds. That being said, cottages aren’t for everyone. Unless a previous owner has lowered the floor, they invariably have low ceilings, with even lower beams that become an instant hazard for anyone more than 6ft tall. Layouts can be tricky, too: workmen’s cottages are classically two-up and two-down, and frequently weren’t built with corridors to link rooms, so you sometimes have to walk through one room to access others. Finally, small windows and gloomy rooms are another minus, and costly, or-if listed-impossible to alter, cautions Mr Marchbank.